$69.95 per person (includes dinner, show, tax & service charge). Your favorite ladies from the ‘80s are throwing a party, and you’re invited! 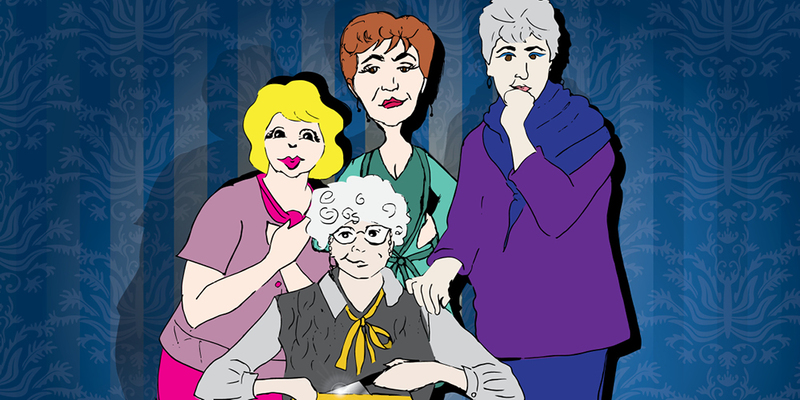 Sophia, Blanche, Rose and Dorothy have worked long and hard to throw the perfect celebration, but will they still be celebrating when they discover that their party guest, Arthur, has not only been two-timing them, but three-timing them?! The women uncover a deadly love triangle, and they are not at all pleased! As Sophia attempts to lighten the mood with a song, someone’s attempting to lighten the mood with a BANG! Who could the killer be? Perhaps YOU can solve this Golden Girl mystery!